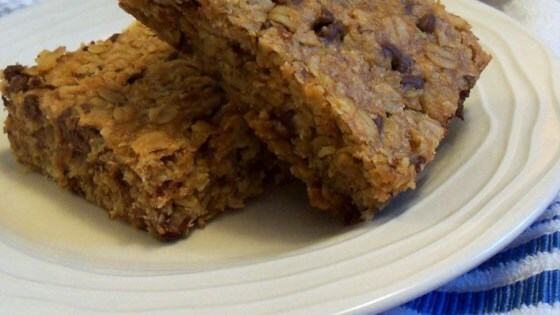 "The best granola bars in the world, it makes a great snack in the afternoon." In a large bowl stir together the peanut butter, the butter or margarine, the brown sugar, the syrup and the vanilla until smooth. Press the mixture into 13 x 9 inch greased pan. Bake for 20-25 minutes. Let cool on wire rack before cutting into bars. See how to make sensational oatmeal peanut butter cookies. Really great. I used corn syrup and honey. Honey alone would work, but I didn't have enough. This is a keeper and NOTHING like a bagged cookie.